The property includes three parcels that take up 1.3 acres. 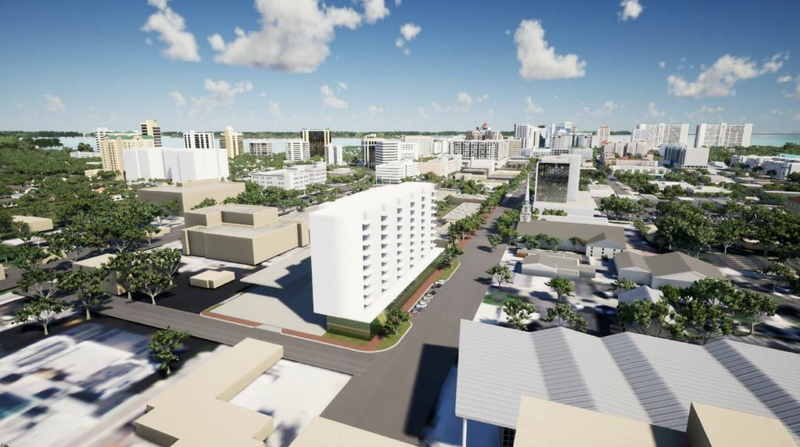 The downtown city block located at 1700 Main St., Sarasota, is on the market for $14 million. The property is located in an area recently designated as a "Qualified Opportunity Zone" by the federal government and includes three parcels that take up 1.3 acres, with flexible zoning. SVN Lotus is handling the marketing of the property and managing its sale.